The University of Minnesota Law School offers one of the largest clinical education programs in the nation, emphasizing its prioritization of experiential learning in legal education. The law school boasts 24 clinics, 11 concentrations, and more than 200 combined degree options. Real-world practice and experience is emphasized, with more than half of all law students participating in at least one live-client clinical course, and with law students providing more than 18,000 hours of pro bono legal service each year. 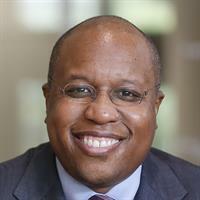 Dean Jenkins's academic focus is law and philanthropy, and he sits on the advisory board of the National Center on Philanthropy and Law at New York University School of Law. We reached out to Dean Garry Jenkins to participate in our law dean interview series, and he was kind enough to respond with his thoughts on legal education and the future of law and the legal profession. We appreciate his thorough and well-thought answers. The beginning of law school is both an exhilarating and anxious time for many students. They are accustomed to success—receiving high grades, participating in prestigious extra-curricular activities, and having accomplished careers. It is natural for new law students to believe that they need to have the same type of academic achievement during law school in order to become successful lawyers. But there is not one path to having a satisfying professional career; some students may perform well on law school exams right away while others may take a little time to catch on, some may shine in the moot court or clinical experiences, and some may find their niche in journal work. What is most important is that students take advantage of the many opportunities available to them during their time in law school, so that they are prepared to make their mark when they graduate. What is the single biggest challenge you face as Dean? The University of Minnesota Law School prides itself on educating the next generation of lawyer-leaders—whether they are in the courtroom, the boardroom, or the statehouse. But in order to strengthen our position as one of the top public law schools, we must ensure both access and affordability. This challenge is greater now nationwide than it has ever been, given increasing higher education costs and decreasing state support. Yet, it is critical to give all qualified students an opportunity to attend the University of Minnesota and afford them the flexibility to pursue their passion without being burdened and limited by exorbitant law school debt. I often say that “law is everywhere.” By that, I mean that there is no major issue in society that does not have a legal dimension. It stands to reason that wherever there is economic growth, there will be a need for lawyers to provide their expertise and problem-solving skills to meet the challenges and opportunities that arise. According to economic forecasts, both the technology and health care sectors will continue to see substantial growth over the next decade; thus, it is likely that there will be a need for lawyers in these areas, as well as related areas such as privacy law and compliance. Also, importantly, I think we will see continued growth of the new alternative legal service delivery sector, i.e., managed legal service corporations that use process-driven systems to handle high volume e-discovery, due diligence, contract management, patent valuation and portfolio analysis, and other similar work. Is teaching law now different compared to when you were a student? When I was a law student, the Socratic method was still the dominant style of teaching, and grades were based solely on a single final examination at the end of the course. There were few course offerings that bridged the gap between legal knowledge and legal practice; it was assumed that students would make that transition once they entered practice. In the last 20 years, however, the academy has come to realize that these methods are not the most effective for educating students to prepare them for practice and positions of leadership. At the University of Minnesota, for example, our professors employ a variety of teaching styles and incorporate collaborative learning, which is facilitated by our smaller class sizes. Large numbers of our faculty have also begun including additional mid-terms and ungraded assessments in first-year courses, based on research by my colleague Professor Daniel Schwarcz demonstrating a positive relationship between receiving individualized feedback on such assessments and law school performance. Our upper-level students can choose to participate in one of 24 clinical programs, 80 externship placements, and enroll in capstone courses in which they work in teams to solve real-world problems in emerging areas of the law. I will be the first to admit that I do not have extensive experience in criminal law, since I practiced corporate law and specialized in representing exempt organizations prior to entering academia. But my sense is that litigators, including criminal defense attorneys, are just beginning to leverage technology in the courtroom to the advantage of their clients. As technology costs continue to decrease, these practices should become even more prevalent. The bigger question may be the extent to which particular types of technology (e.g., cell phone video, GPS tracking, social media posts) will be admissible in court, for the answer to this question may have a profound impact on how prosecutors and defense attorneys try cases in the future. Perhaps more than any time in its history, the biggest challenge facing the Supreme Court is how it can increase the public trust in itself as an institution. Irrespective of whether the precise issue involves the separation of powers, immigration, criminal procedure, etc., the decisions of the Supreme Court must be well-reasoned and be understood and believed to rest on more than partisan politics. Leadership is key. Coalition building, particularly across traditional ideological lines, increases the perceived legitimacy of the Supreme Court, and by extension the public trust in its decisions. Given the contentious nature of the filling of the most recent vacancy on the Court, this undertaking is more critical now than ever before. I am passionate about higher education, which is why I entered academia in 2004 and have remained ever since. If there is anything I miss about practicing law, however, it is the close connection with the great clients and their work. I had the privilege of representing some world-class human services agencies, international humanitarian organizations, museums, universities, private foundations, and ultimately going in-house to a major grantmaking foundation. Thankfully I have been able to work with several nonprofit organizations since becoming Dean, albeit in a different way than when I was in private practice. This type of service and leadership is personally rewarding and provides a similar type of connection to this valuable work. An important piece of my teaching and scholarship is focused on the ways in which lawyers develop and manage as leaders in a variety of organizational settings. So, I draw inspiration from lawyer-leaders who are adept at galvanizing their supporters and building relationships across differences, yet who are not afraid to stand up for what they believe is right. So for that reason, I would invite William Brennan, Nelson Mandela, and Barbara Jordan. From Brennan, I would want to hear about how he was able to broker majorities on some of the most difficult cases heard by the Supreme Court in the 20th century. From Mandela, I would want to hear about his approach to coalition building despite the political turmoil in South Africa and personal struggles he faced. From Jordan (one of the great orators of her generation), I would want to hear about her experience as a pioneering African-American female political leader in the South, as well as her approach to speechmaking and persuasion. Plus, I think they’d all be great storytellers.